The Ninja Ultima Blender is Beyond a blender, beyond professional. The new Ninja Ultima™ Blender allows consumers to live a healthy lifestyle through its versatile capabilities and groundbreaking, patent pending Dual-Stage Blending Technology, supported by 1500 watts and 2.5 peak horsepower! This blender makes whole nutrient rich juicing possible through pulverizing whole fruits and vegetables and including all of its valuable nutrients. 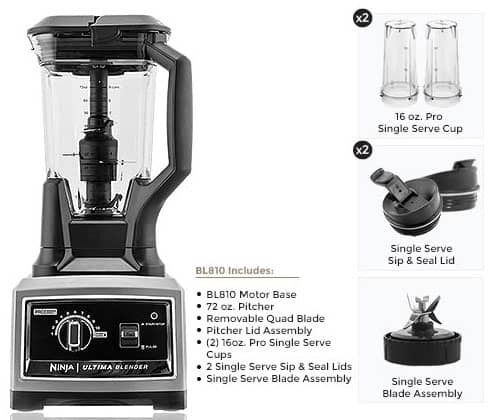 The Ninja Ultima Blender can be purchased at NinjaUltima.com for $259.99 with free shipping or buy the Ninja Ultima at Amazon.com for $259.99 with free shipping.